Things have picked up pace in the mobile hardware world. Samsung has finally released details for tis 10nm processor for 2017. It’ll be quite a powerhouse, even as the company does not share any details for processor frequencies. Now, we’ve got some news form the iOS camp. Apple’s iPhone launches for the year will also feature 10nm processors, based on TSMC’s process. Today, some more details on the A11 have surfaced. Take a look below to find out more. It’s been a bumpy road to 10nm. Earlier this year we heard reports surface that both Samsung and TSMC are facing problems with chip production. For the Korean tech giant production capacities weren’t up to mark and for TSMC, technical difficulties were rumored. Both are on track now, apart from the fact that Samsung’s hogged up all existing units for the Snapdragon 835. This has left other manufacturers in a bit of a quarry to either delay their 2017 flagship launches or to launch them with outdated hardware. TSMC’s CEO, Mark Liu speaking at a supplier conference disclosed key details for the company’s processor manufacturing. 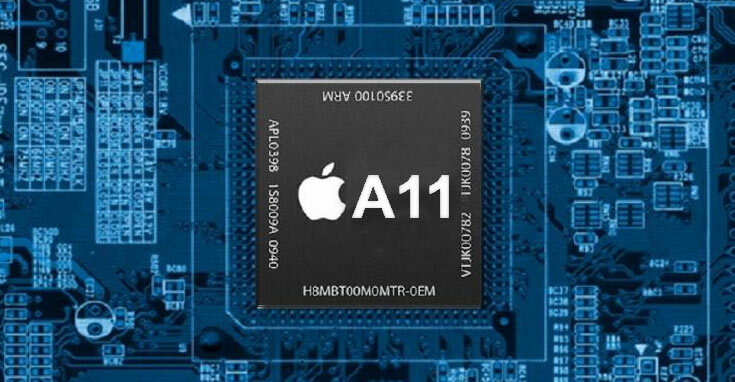 For starters, Liu claims that the Apple A11 is right on production schedule. His fab will son make shipments to Apple, upon which the company will be ready to start testing the iPhone 8 with the latest hardware. Even more importantly , Liu also disclosed TSMC’s plans for the 5nm process, which sound very optimistic. TSMC’s got some big plans for the future. These reports suggest that Apple will be able to comfortably commence iPhone mass production by next quarter. We’re eager on what Cupertino will offer this year, especially as the iPhone 7 and iPhone 7 Plus failed to impress. A couple of big features are rumored for the iPhone 8 in particular. Thoughts? Let us know what you think in the comments section below and stay tuned. We’ll keep you updated on the latest.